This highly skilled and sought-after trade is always in demand and will open doors to bigger and better job opportunities. As an apprentice, you will learn skills that set the foundation for becoming a Journey Man or a Master Electrician. You may learn things like electrical theories, blueprint reading, electrical code requirements, best practices, and safety. If you are interested in a career path that will challenge you while giving you real on the job training and experience or if you’re wondering how to become an electrician or enter the trade you will find all you need in this guide. What are the requirements for becoming an apprentice? Usually, you just need to be at least 18 years old and have a high school diploma or GED to enter a program but high school classes like electronics; math and workshop may be beneficial. Some programs may require a combination of classroom hours and on the job training and companies may require you to take a basic competency test as part of the application process. In addition to this, it will be helpful to have good hand-eye coordination and be able to identify colors due to wiring. There are trade schools and community colleges that have electrical training programs available if you are looking for more of a formal training environment, however, most of the learning will take place on the job. What will I learn and how long does it take? As an apprentice, you will learn the basics of electricity and electronic circuitry and this will set the foundation for becoming a Journey Man Electrician. You will be involved with everything from installing switches and light fixtures to residential and commercial wiring. You will learn things like bending conduit and read blueprints and much more. You may be required to run wire in attics and work outdoors. You will learn to use power tools and work with low voltage circuits, electrical panels, garage door openers, landscape lighting and more. Technical skills are just a part of the puzzle; one of the most important skills you will learn during your training is customer service. You will get to interact with different people and learn how to handle customer related situations. The time you spend as an apprentice will depend on your skill set and how fast you pick things up. This is usually determined by your supervisor or the Journey Man Electrician who is mentoring you; however, a typical program length is between 3-5 years. If you follow proper safety requirements most workplace injuries can be avoided. How much is physical fitness required? You may be required to work inside and out and in all types of climates and terrains. Staying physical is a plus since there may be times where you need to crawl into an attic or basement to run wires or troubleshoot. There typically is a lot of bending, kneeling and climbing up and down ladders. You may also be exposed to noisy conditions if you work in new construction or are using power tools. 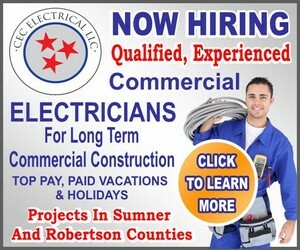 The best way to move forward is to contact local electrical contacting companies in your area. Ask them if they have an apprenticeship program and what they require. If you have more education or switching fields then your resume should highlight the areas of prior focus that relate to the trade. In addition, practice interviews with family and friends so you become more comfortable. There are also resume books and basic wiring books along with other online resources that will help you with your resume or familiarizing yourself with the basics.